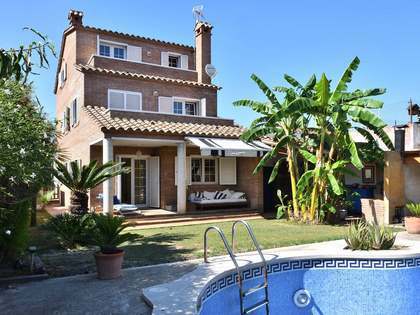 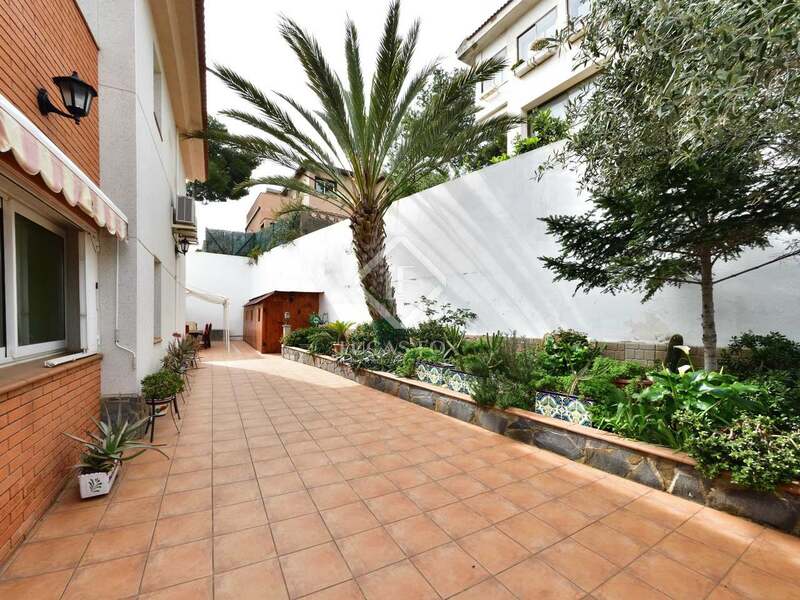 Wonderful family home with 4 ensuite bedrooms, a gym, pool, terraces and a lovely garden, in Castelldefels. 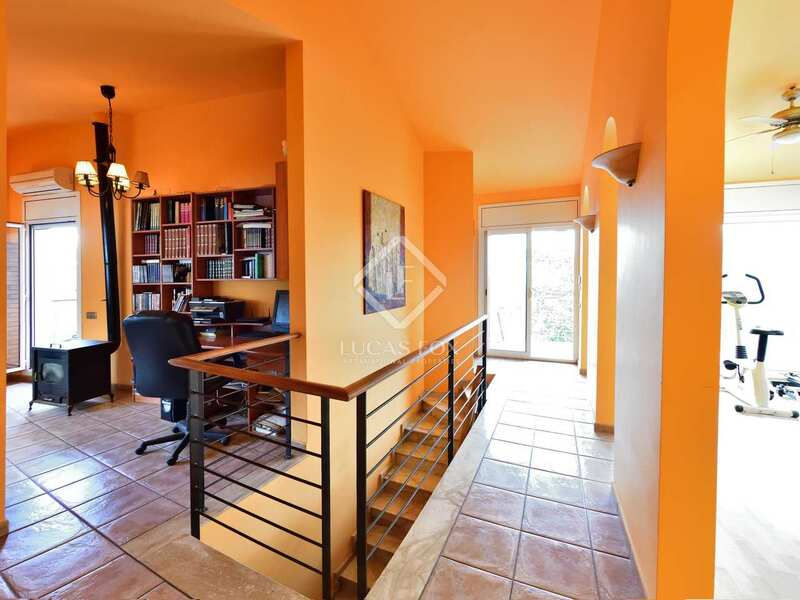 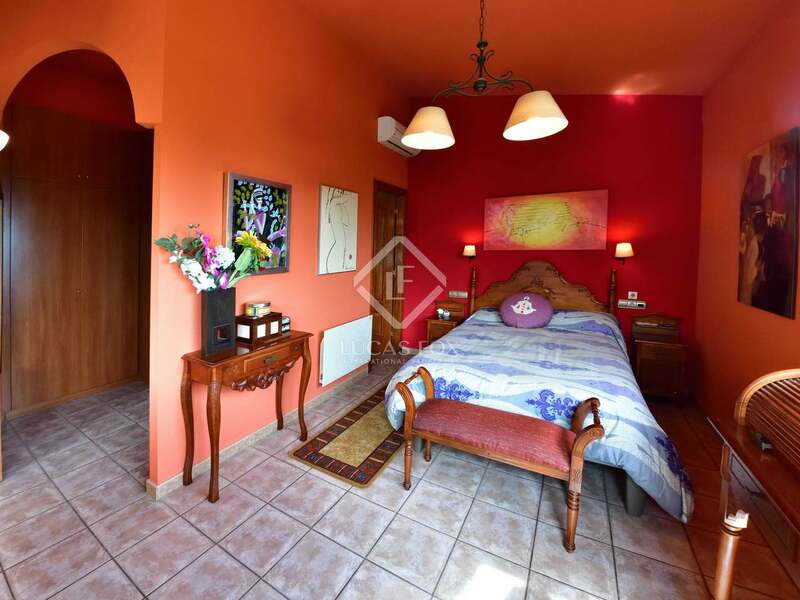 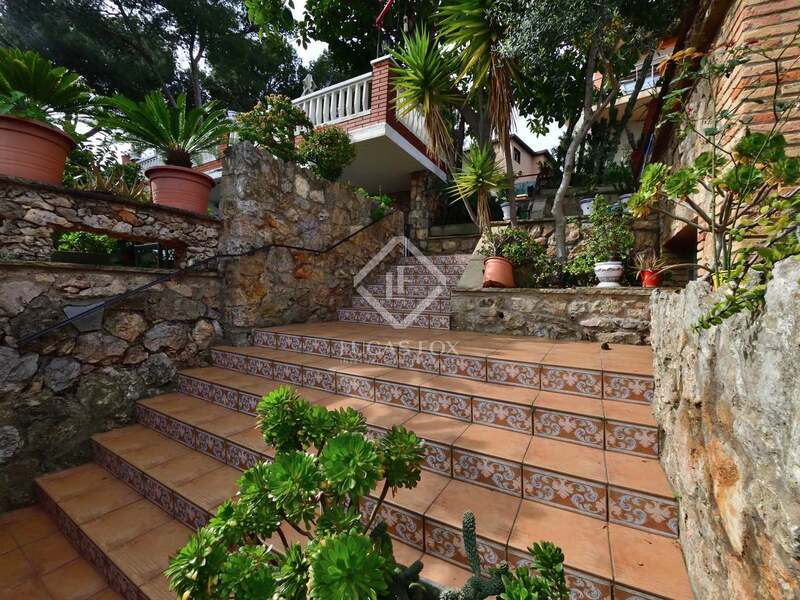 Built in 2004, this wonderful family house has a built size of 310 m² with 2 terraces and a garden. 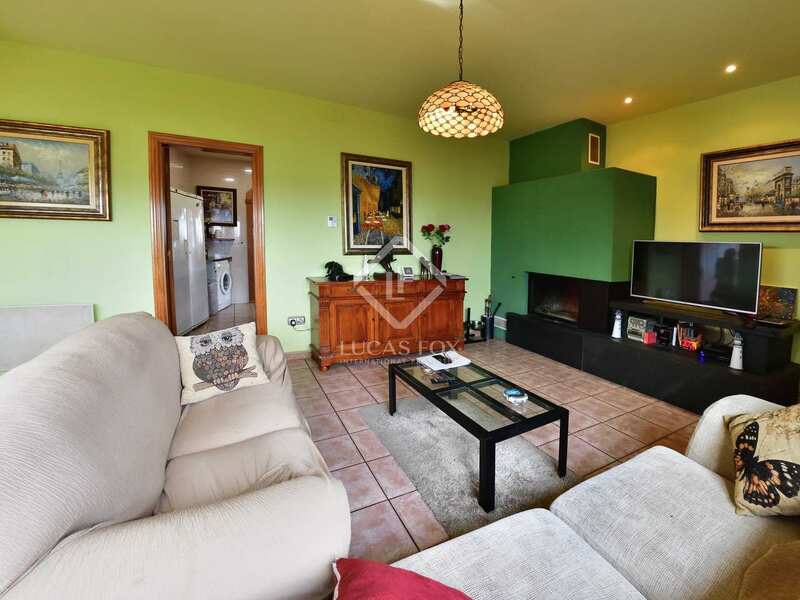 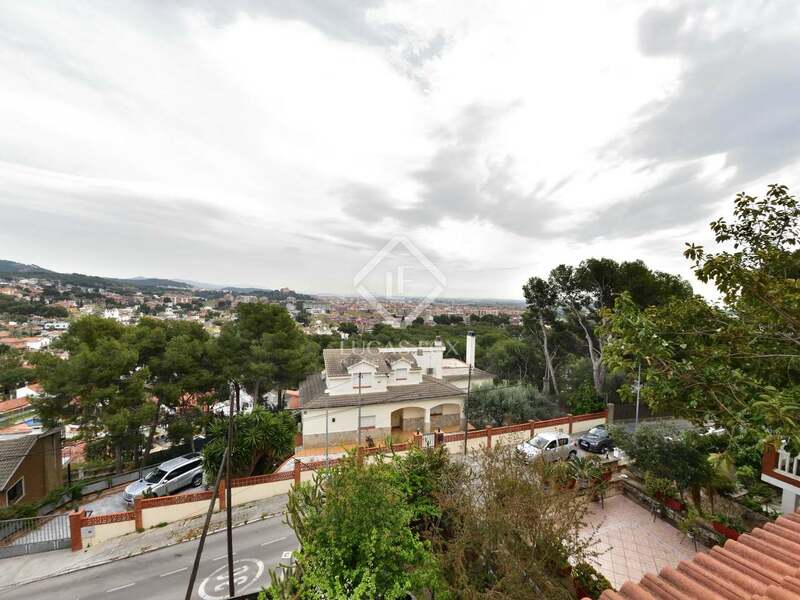 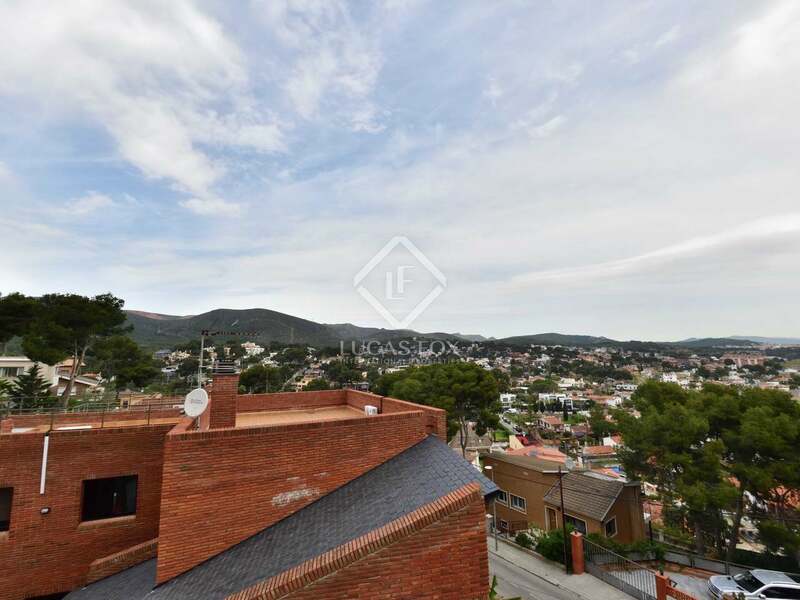 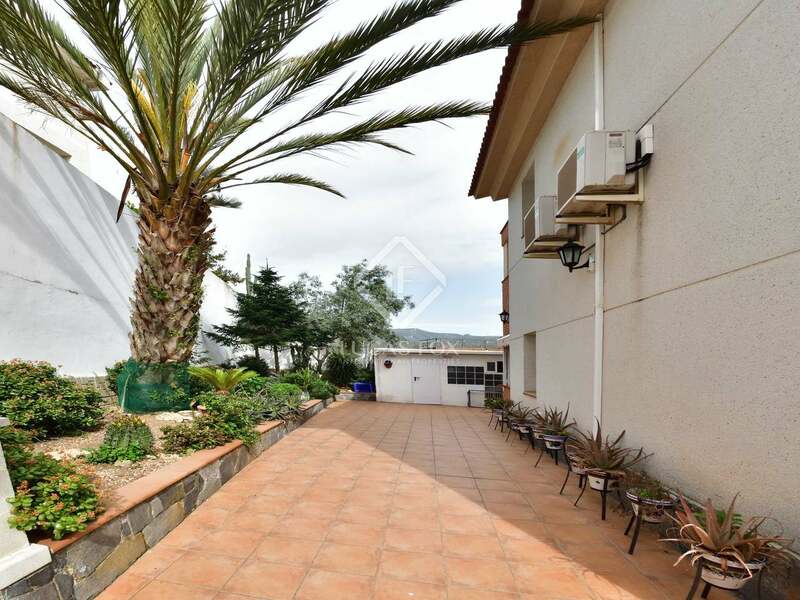 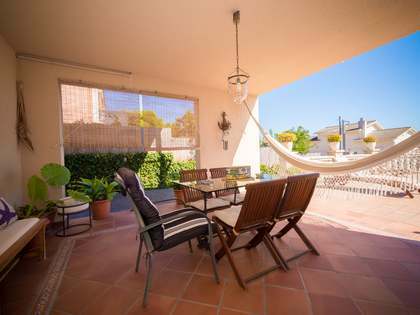 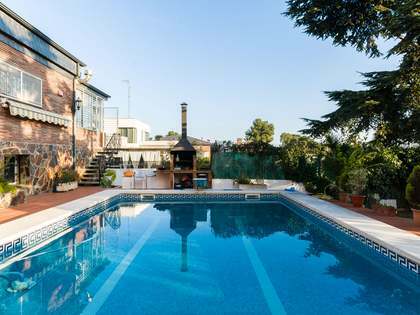 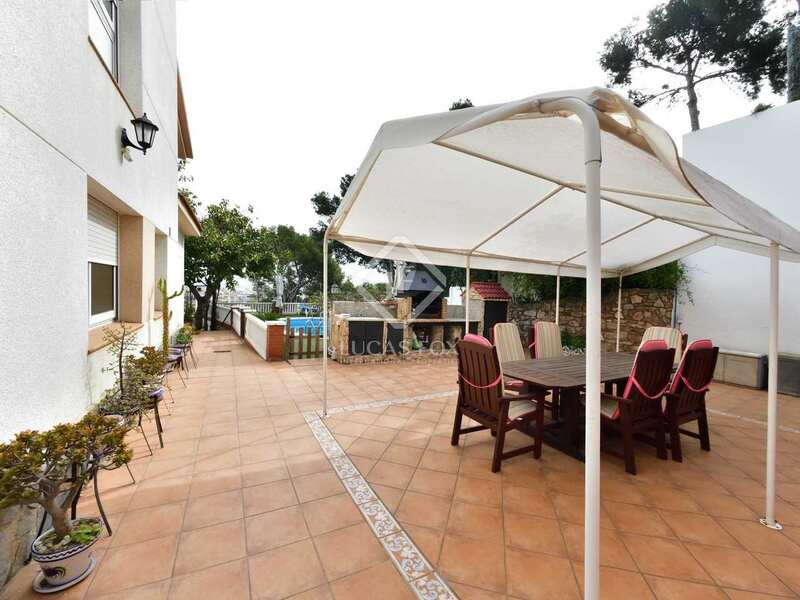 It enjoys panoramic views of the hills, beach and Barcelona and is conveniently located near transport public, parks and schools in Castelldefels. 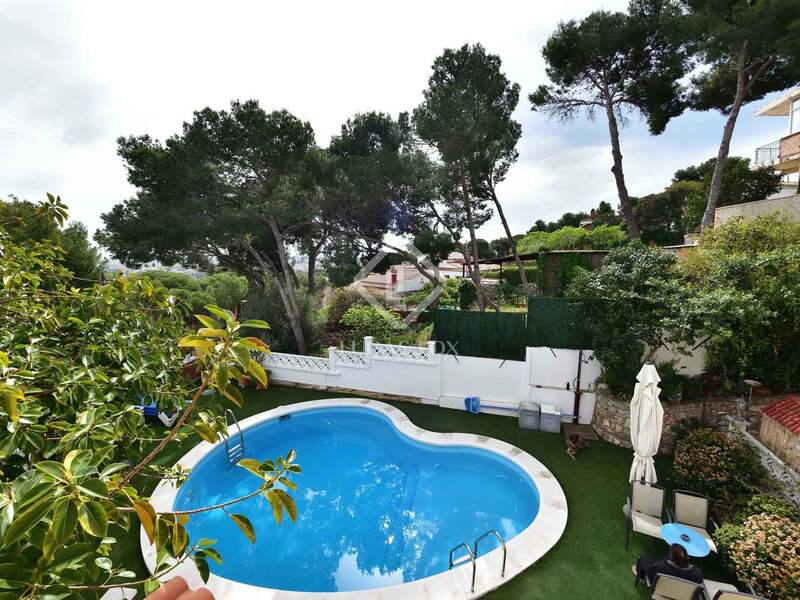 We enter on the garden level where we find fruit trees, a lovely recently renovated pool and a barbecue with a pergola. 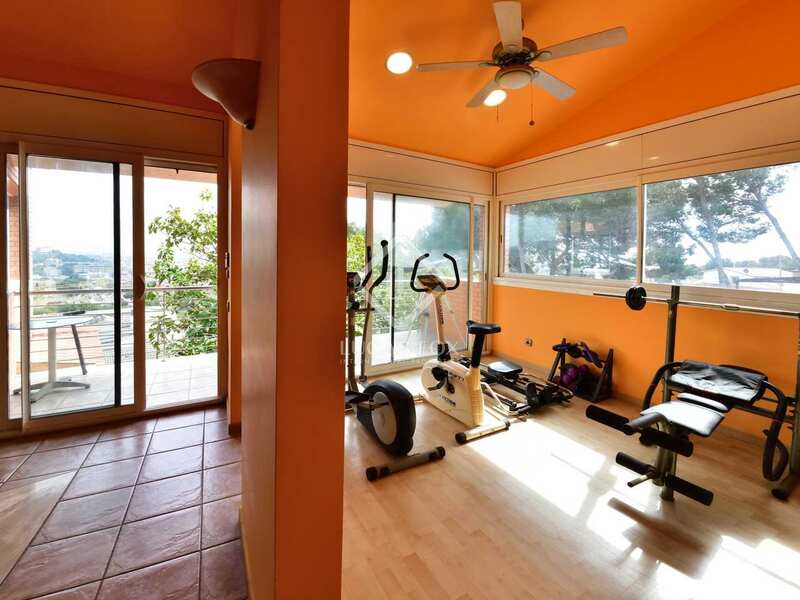 The garden provides access to the 2-car garage, pantry, wine cellar, storage room and a bathroom. 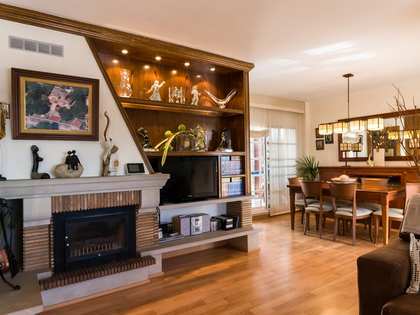 The main floor offers an attractive living room – dining room with a fireplace, a separate kitchen diner and 2 bedrooms with ensuite bathrooms and dressing areas. 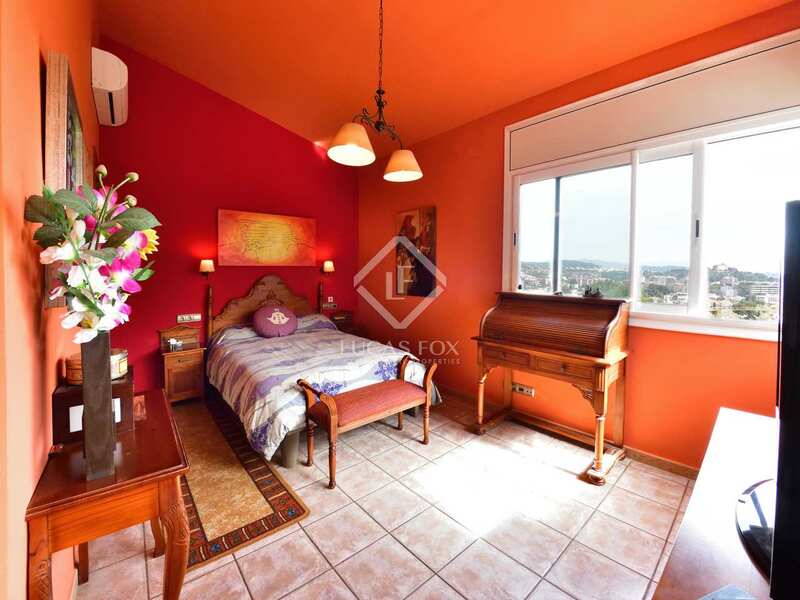 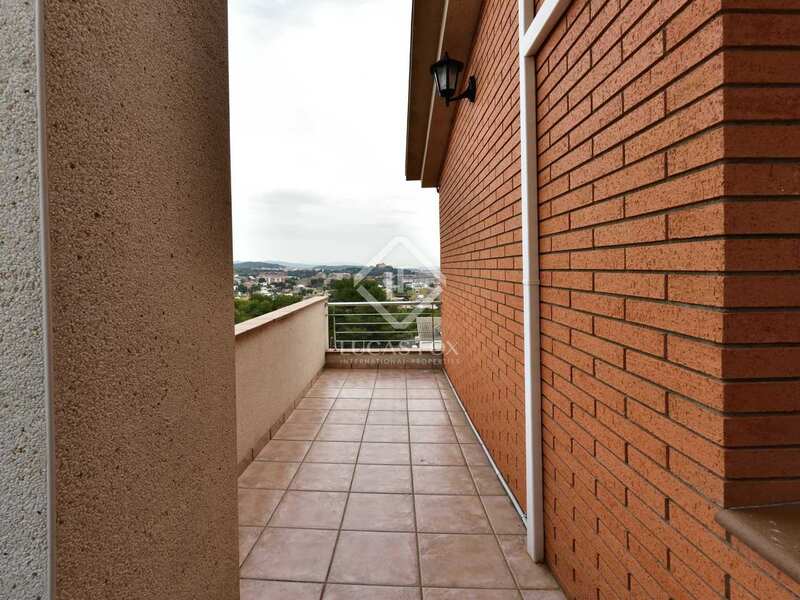 A further 2 bedrooms with ensuite bathrooms and dressing areas are found on the top floor of the house, along with a gym with panoramic views and a lounge, both with access to a terrace. 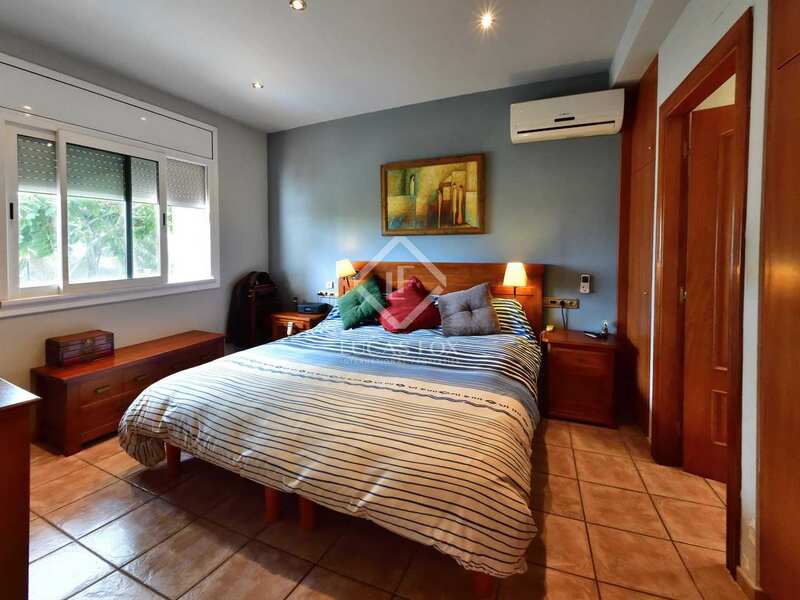 Additional features that make this a very comfortable home include the water softener system, electric heating, motorised blinds and double glazed windows, air conditioning and heat pump. 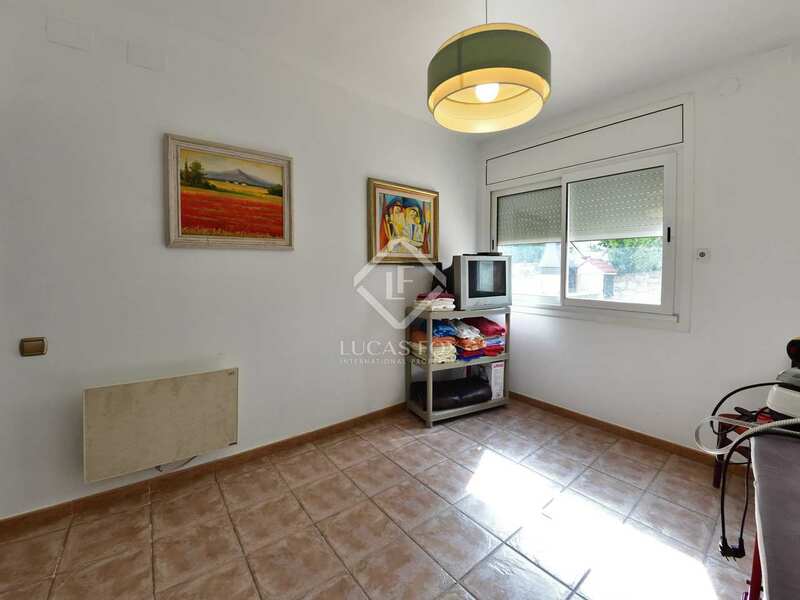 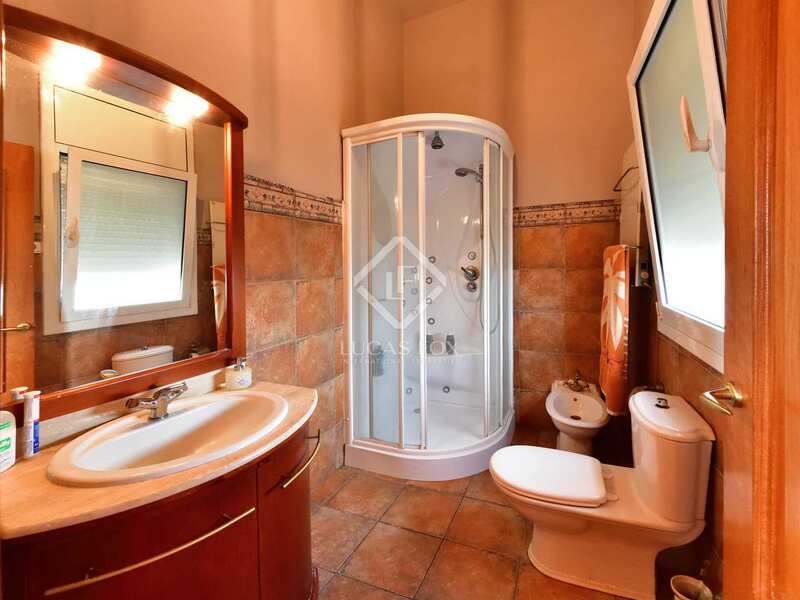 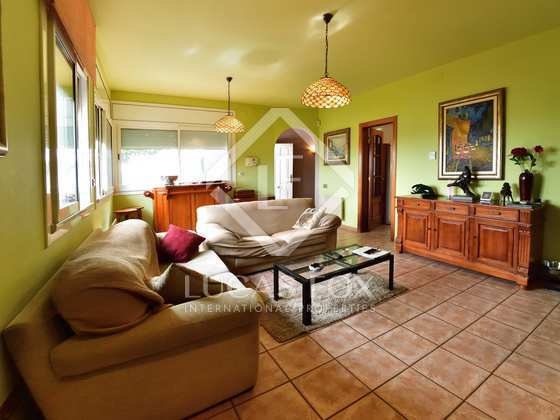 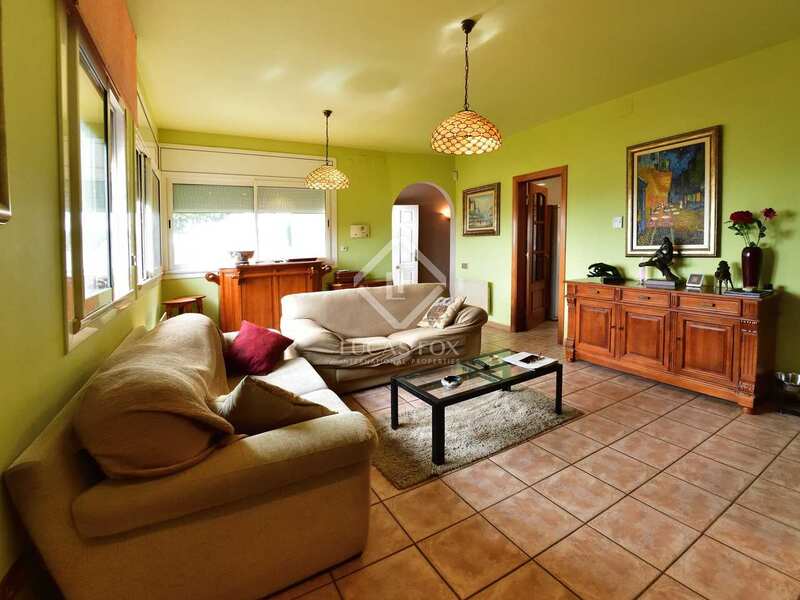 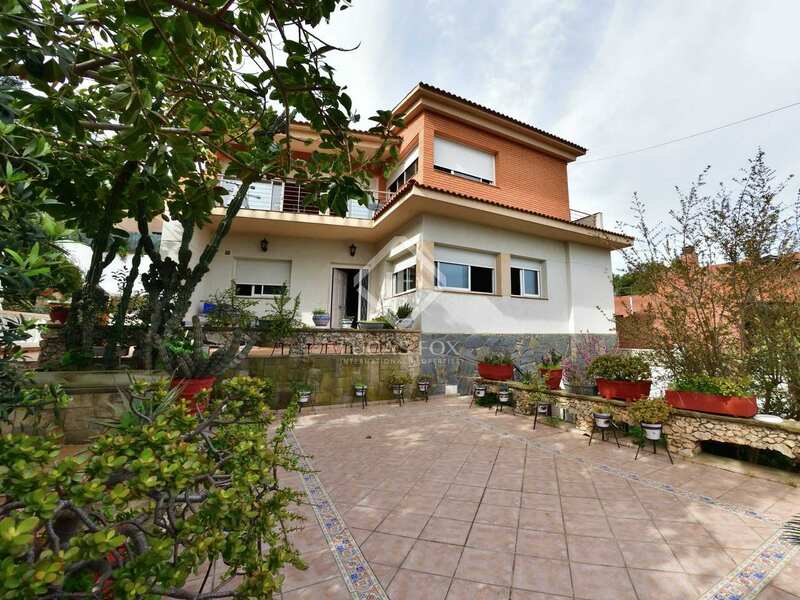 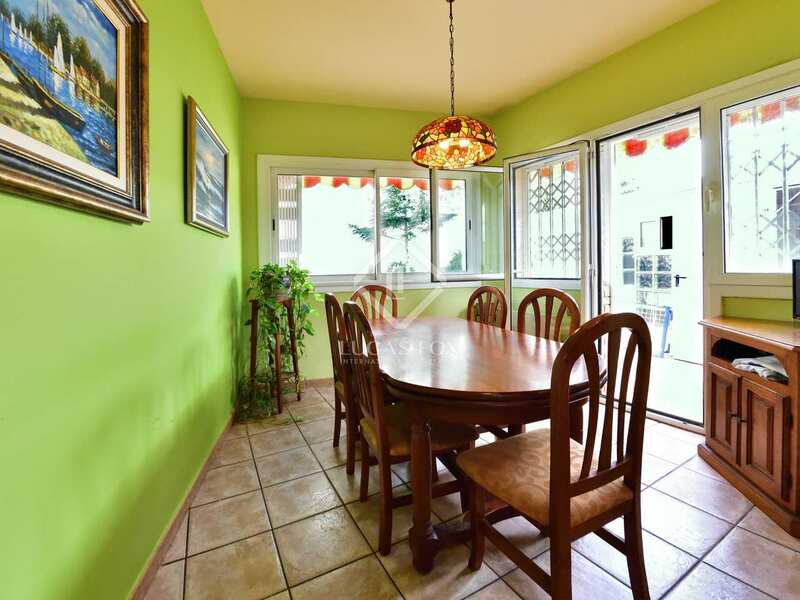 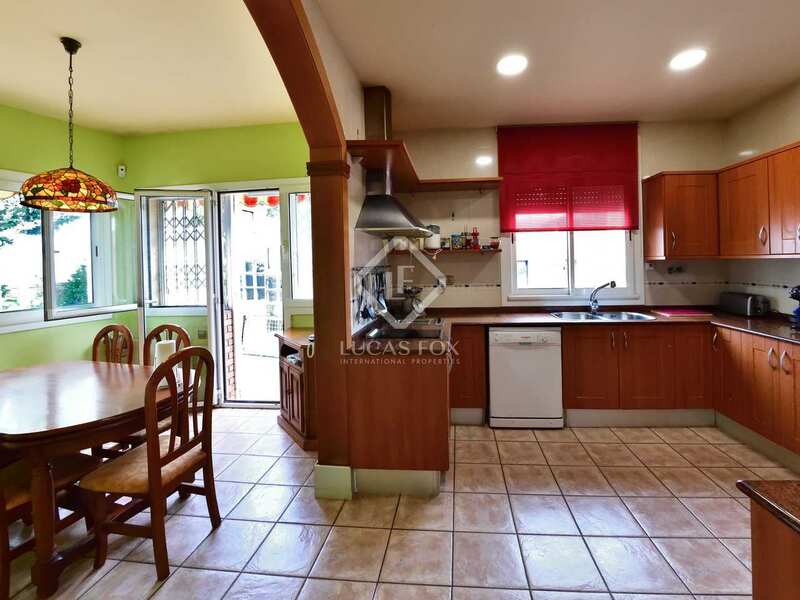 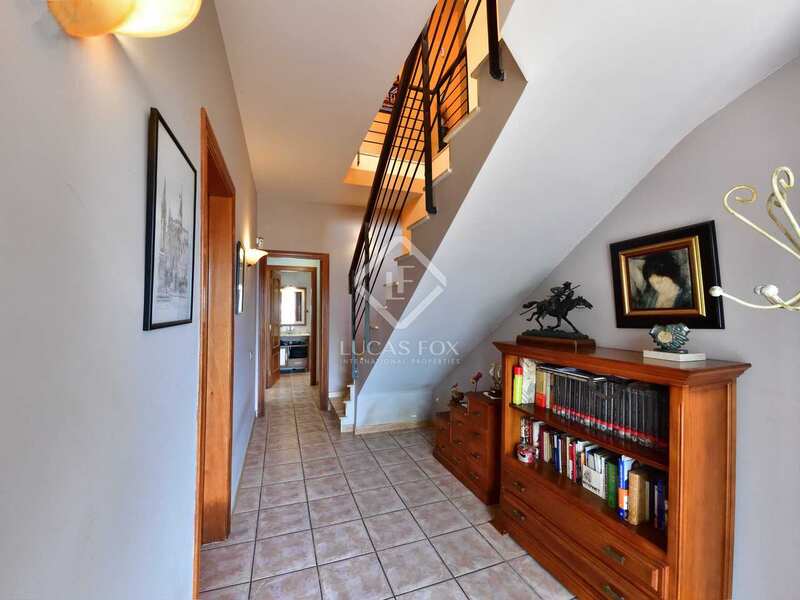 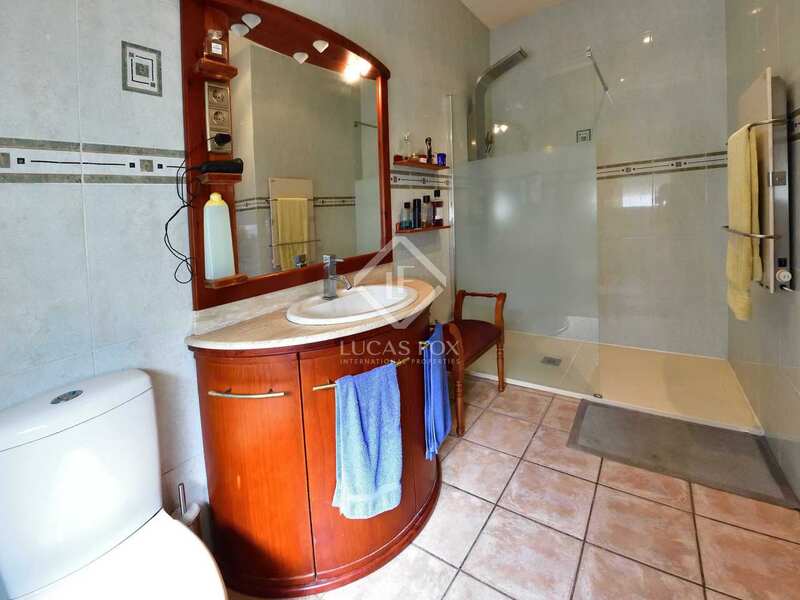 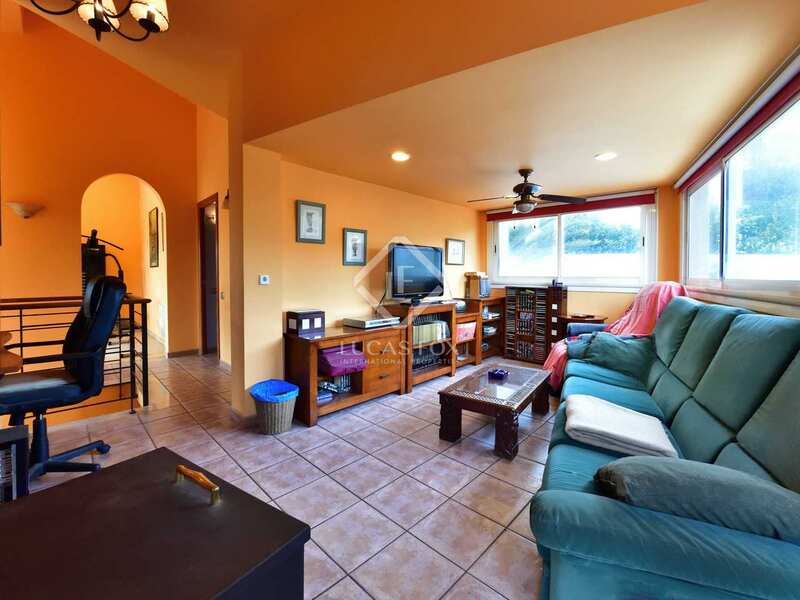 An ideal family home with a charming garden and good, peaceful location in Castelldefels. 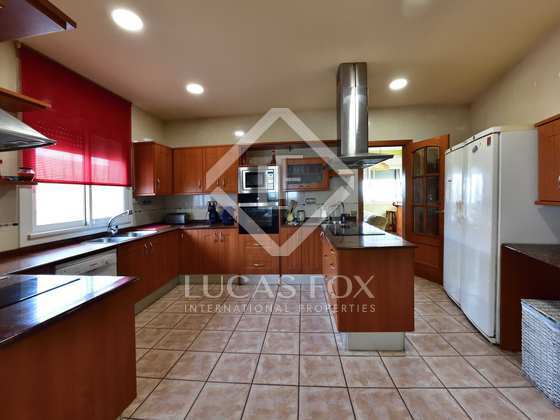 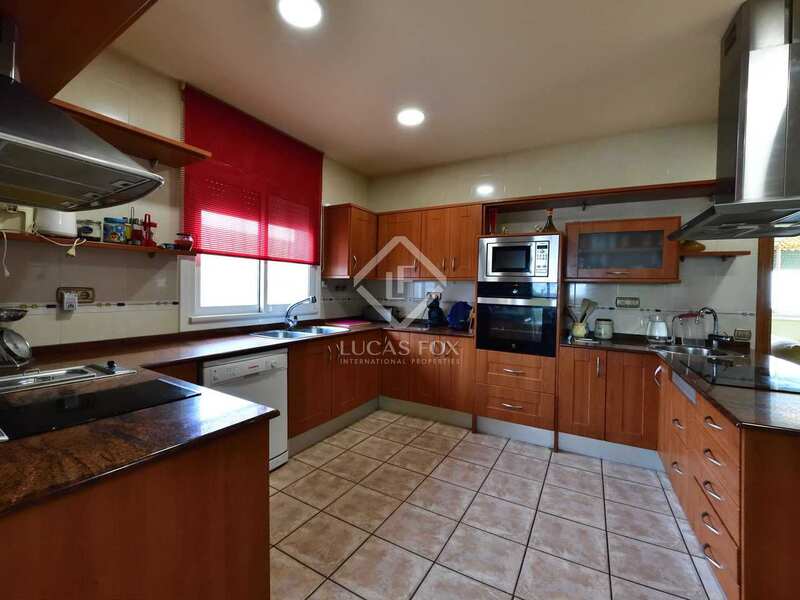 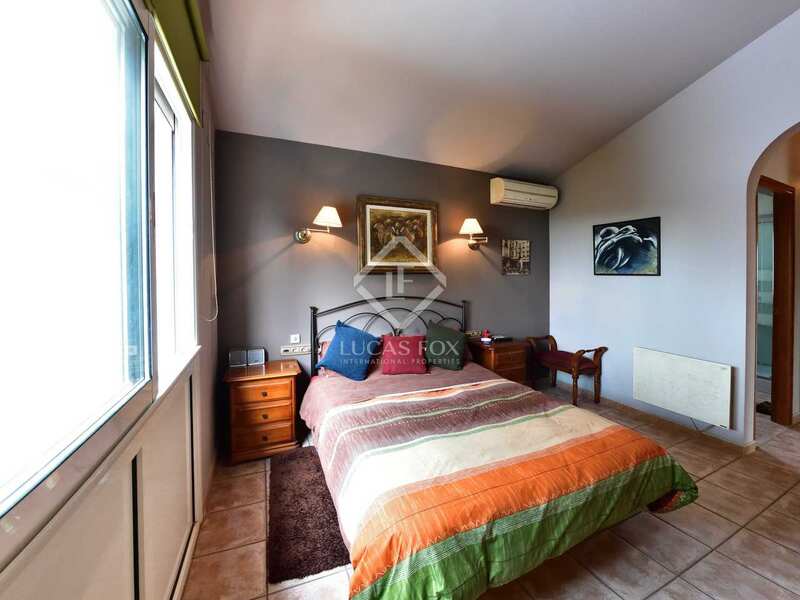 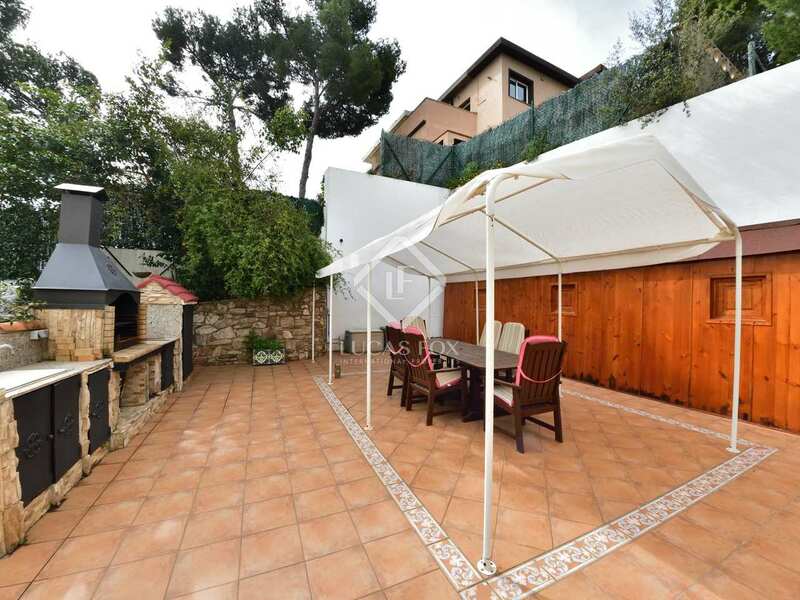 It is conveniently located in Castelldefels, near transport public, parks, schools and is less than 10 minutes from reputable international schools and 15 minutes from the Barcelona Airport.